It is impossible. 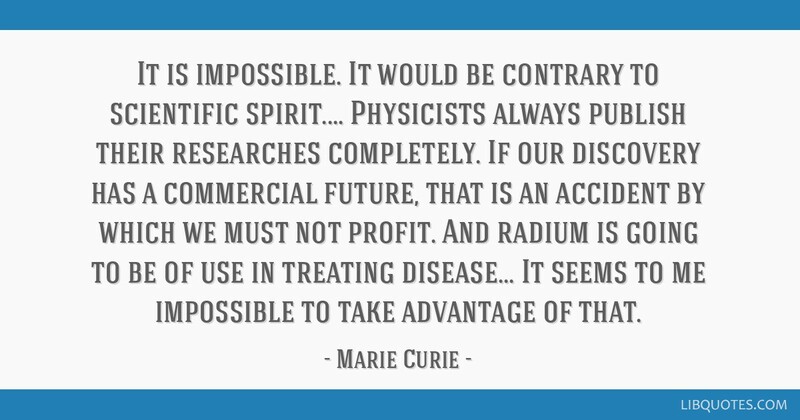 It would be contrary to scientific spirit.... 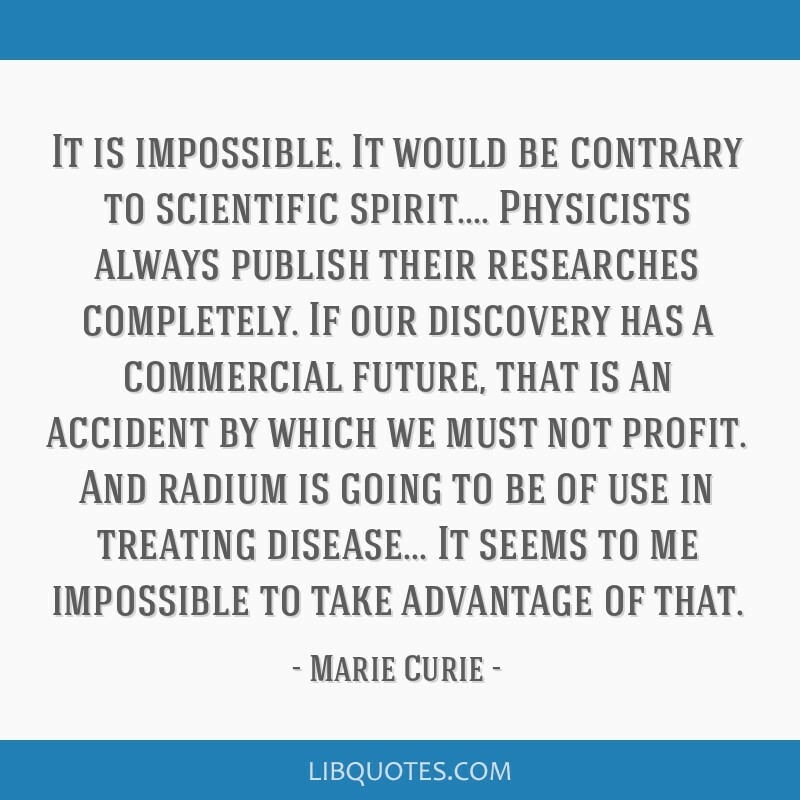 Physicists always publish their researches completely. 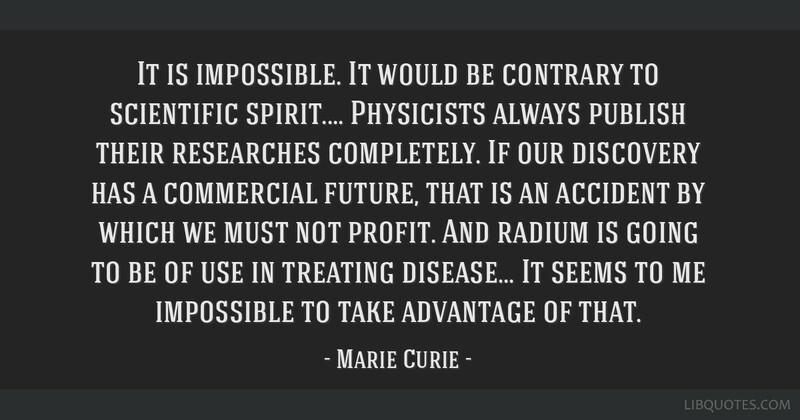 If our discovery has a commercial future, that is an accident by which we must not profit. 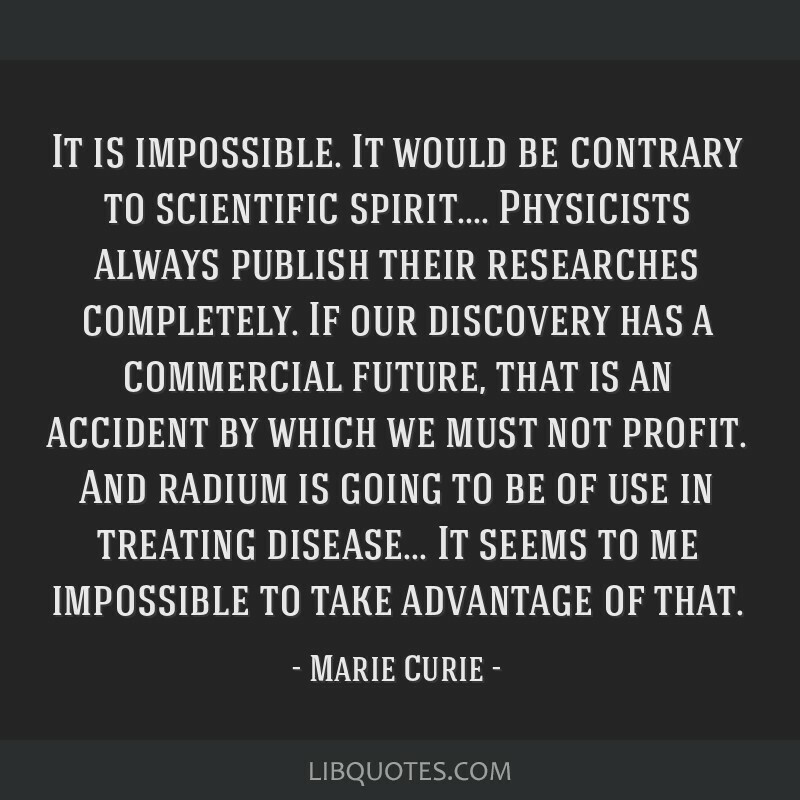 And radium is going to be of use in treating disease... It seems to me impossible to take advantage of that.